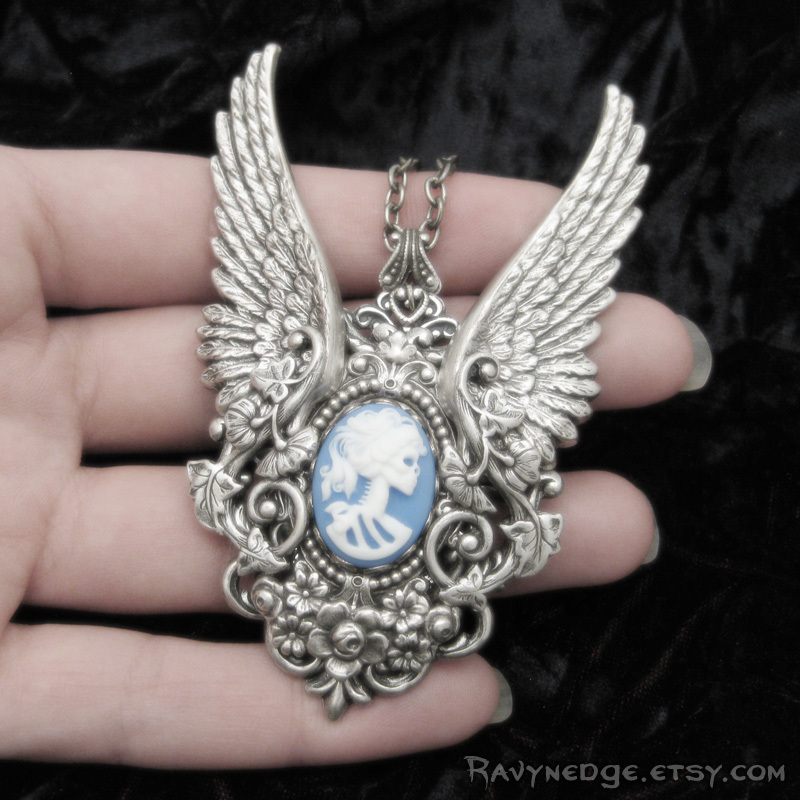 Pale Mortality Necklace - Legendary Series Winged Skull Cameo Pendant by RavynEdge. 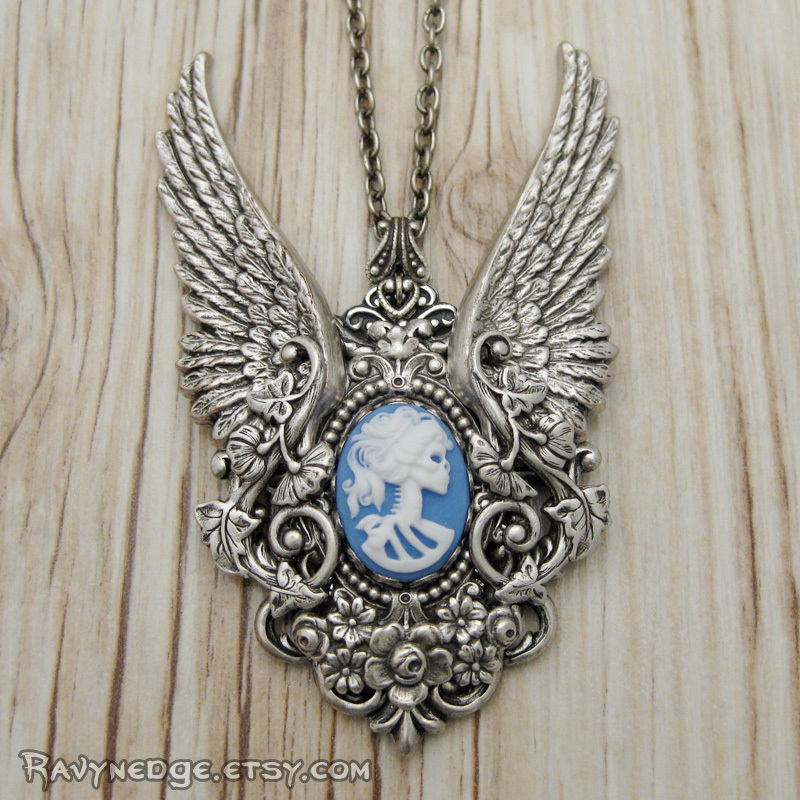 Part of my "Legendary" series of pendants, Pale Mortality is grandiose in size and appearance. 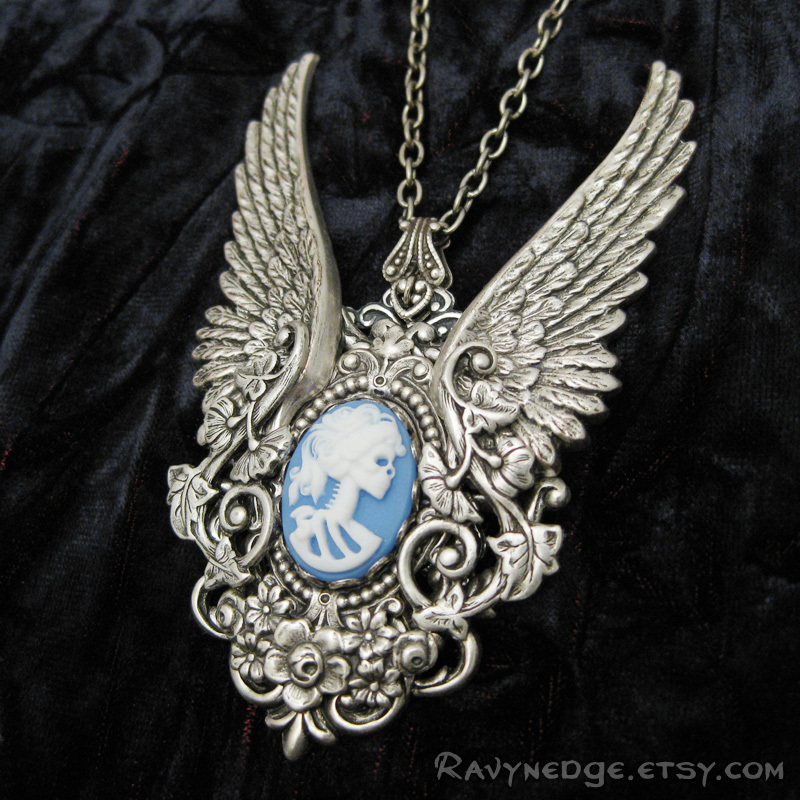 The most amazing cameo of a skeleton woman is encased by flourishes of filigree and large and magnificent angel wings. 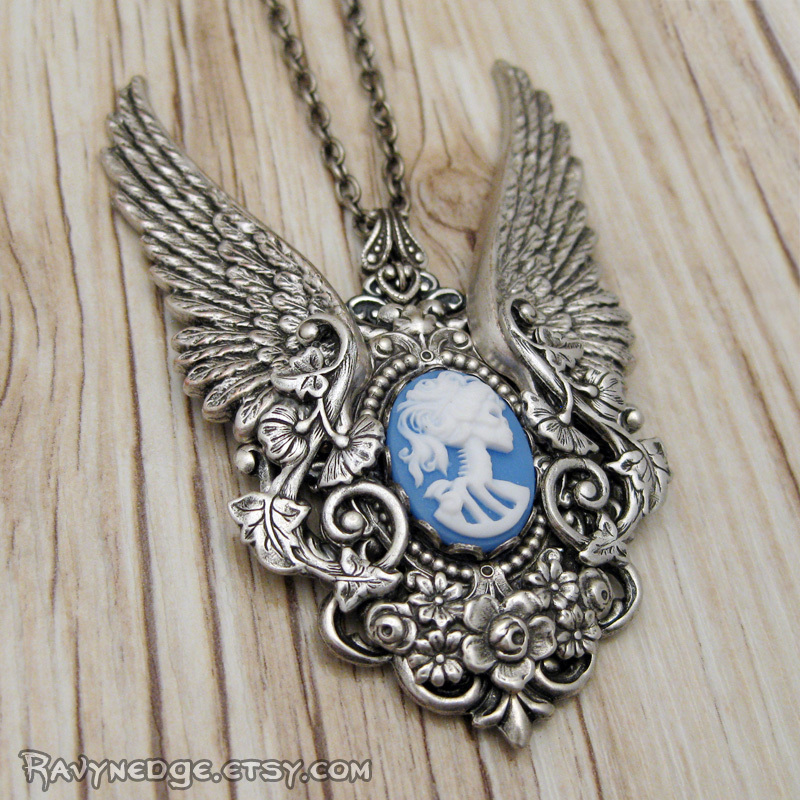 This pendant is made of silver plated brass with an oxidized finish to bring out the amazing details. The pendant measures approximately 3.15in (80mm) tall and 2.2in (55.8mm) at its widest point. 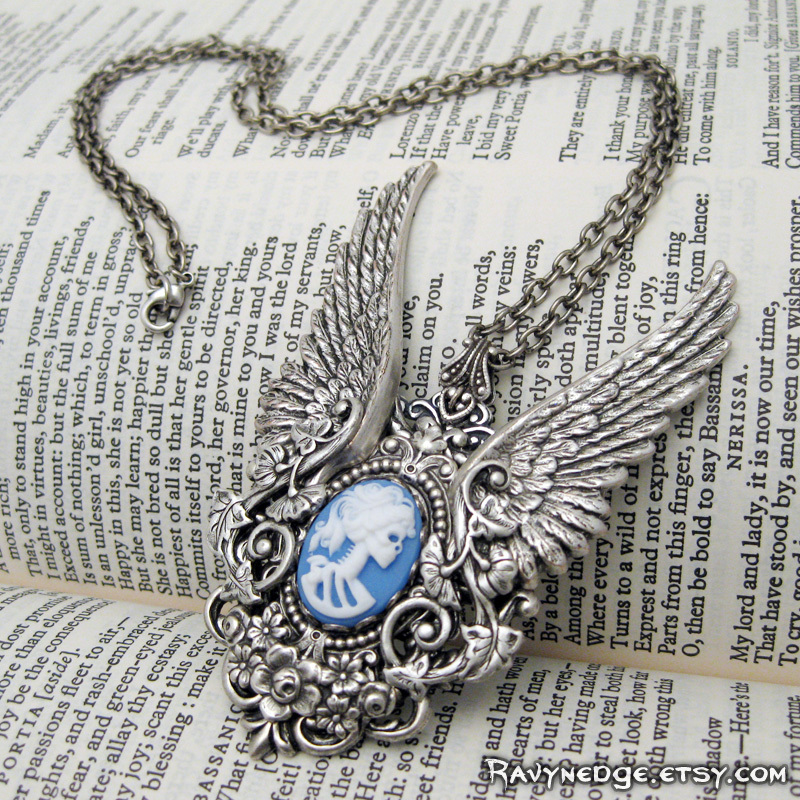 It hangs from a 20in (50.8cm) sterling silver plated steel chain and closes with a lobster clasp.